While you may be getting excited about Apple potentially working an all-American iPhone, the Cupertino tech giant is furthering its investment in China. The company has set up two new research and development centers in Shanghai and Suzhou. 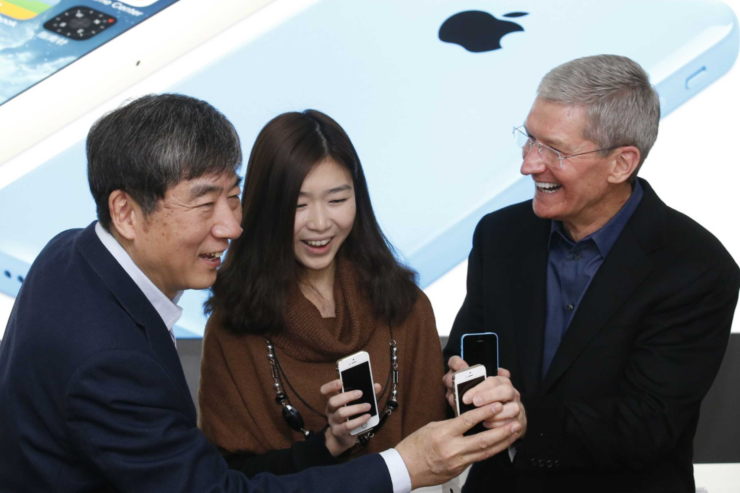 Apple announced its plans on Friday in a post on its Chinese website. The new locations are added to those previously announced for Beijing and Shenzhen with Apple pledging to invest more than half a billion dollars (over 3.5 billion yuan). All four centers are expected to open later in 2017, Apple said. While the iPhone maker focuses on its new product development programs in Cupertino, the company hopes to attract graduates from local universities in China. The company noted that it’s important to develop technical expertise in the Apple supply chain, with a focus on university graduates. Apple’s research and development center in China aims to develop technical experts in the Apple supply chain and [among] graduates from universities such as Peking University, Tsinghua University and Shanghai Jiaotong University. As part of Apple’s continued growth and investment in China, the company has partnered with schools to include internship programs to help develop the next generation of entrepreneurs. Some suggest that the company is investing more in China to be in the good books of the local government. The news comes as CEO Tim Cook plans to attend the China Development Forum – an annual conference that gathers Chinese officials and global executives – over the weekend. Apple mentioned that while it directly employs only 12,000 people in China, it has “created” over 4.8 million jobs in the country, including 1.8 million iOS app developers. Last year, Chinese authorities forced the Cupertino tech giant to shut down its online music and book services in the country. With the sales falling 17% in its latest fiscal year in the country, and iPhone facing some strong competition from companies like Oppo and Huawei, Apple could be looking to curry favor with not only the government for easier access and fewer restrictions but also to attract local talent to compete against these companies.